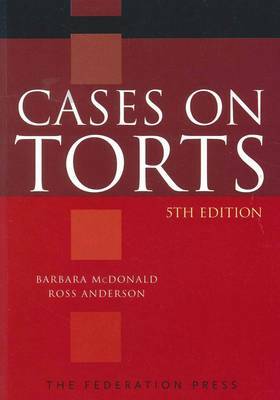 The sixth edition of Cases on Torts has been updated to take into account significant developments in Australian tort law in recent years. This established casebook is a valuable resource of the principles of contemporary tort law in its historical context. It is intended to provide students with a resource to develop the essential legal skills of reading and comprehending primary sources of law, rather than always relying on secondary commentary or summaries. To guide the student, each case extract is preceded by a short note setting out the essential principle for which the case is authority and/or asking the student to consider a key issue which the case addresses or leaves undecided. 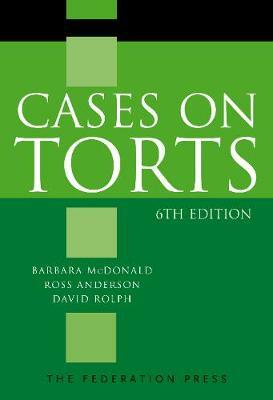 Many new extracts have been included in this edition, comprising significant new cases and new comments, as well as some classic and foundational English and American torts cases with which every torts lawyer should be familiar. The currency of the book will be maintained by the publication of edited extracts of important new cases on The Federation Press website. The extracts will be accompanied by brief editorial comment and all may be freely downloaded.